Back in the day, it was easy to tell when someone was retired. The line between work and retirement was like a neon line or the border between two countries. One day you went to work, and at the end of the day, there was a small party, perhaps with a cake and a gift that everyone at the office had chipped in for. The next day, you didn’t have to set an alarm. From that point on, all you did was travel, play golf, spoil the grandkids, putter in the garden, rearrange your collection of snow globes or engage in any of the millions of other ways to enjoy life after full employment. 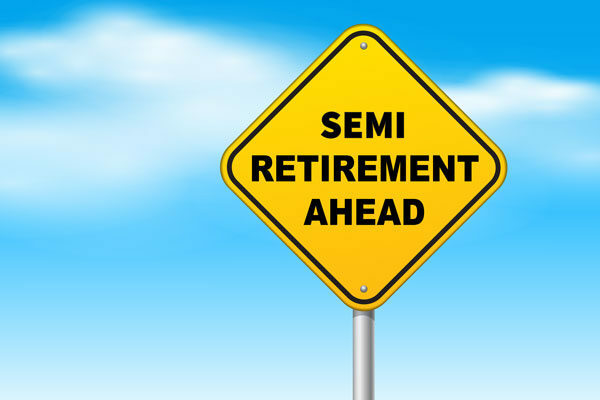 Semi-retirement has a number of attractive benefits, the first of which is that it does not involve working every day. Most “semis” of my acquaintance have home offices, so even on workdays it is often unnecessary to get out of pajamas at any particular time of day. 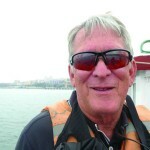 Working after retirement often allows for a flexible schedule and the ability to accept or turn down work as one pleases. Other advantages are that it keeps the mind active and allows a continued connection with the legal community. And let us not forget that it brings in extra cash in an age of economic uncertainty. Today’s semi-retirees who have left the law and related fields are engaged in a wide range of activities. There are the ever-popular ADR practitioners, who, after retiring from practice or the bench, work as arbitrators, mediators and fact-finders. Several “semis” of my acquaintance have signed on as hearing officers for state or local government agencies. Then there are those who work as consultants, teachers, trainers, lobbyists and expert witnesses. Some people serve on government boards and commissions or boards of directors of both for-profit and nonprofit enterprises. Lawyers leaving full-time practice often wind up in “of counsel” or “special counsel” roles with their law firms. There do not appear to be any universal definitions of these roles; they are whatever the lawyer and the firm agree to. Often, the semi-retired lawyer has a desk at the office and comes in on an occasional or even regular basis to impart wisdom and pick up a check. Regardless of the specifics, it is again a way to keep the brain working and stay connected to a legal community that has been an important part of life for decades. Marshall Snider is a former chief judge for Colorado’s Office of Administrative Courts and can be reached at msniderarb@comcast.net. This post originally appeared in The Docket.